Contemporary, forward thinking design sets this exciting new condominium community apart from the rest! Featuring concrete construction with steel stud framing for a state of the art building. Expect nothing but the best! 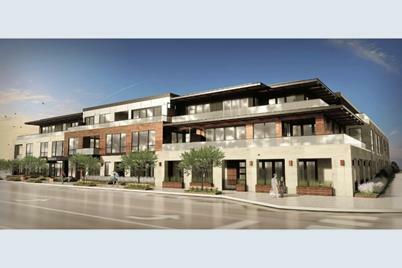 Now is the time to experience the Wayzata lifestyle...enjoy the ease of walking to restaurants, shops and beach. Selling fast! Projected completion September 2019. Open House on Sundays 12-4pm at Wayzata Boatworks Building. See supplements for buyer testimonials. Above Ground: 1,111 Sq. Ft.
275 E Lake Street #208, Wayzata, MN 55391 (MLS# 4955623) is a Condo property with 1 bedroom, 0 full bathrooms and 2 partial bathrooms. 275 E Lake Street #208 is currently listed for $625,000 and was received on May 18, 2018. Want to learn more about 275 E Lake Street #208? Do you have questions about finding other Condo real estate for sale in Wayzata? You can browse all Wayzata real estate or contact a Coldwell Banker agent to request more information.